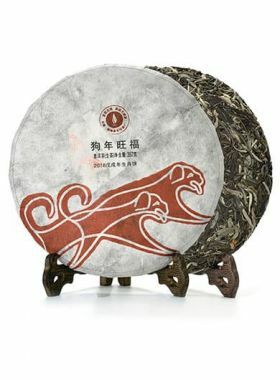 The most important characteristic of this tea is “balance”, and its taste will not be too bitter or strong, which makes it of high acceptability and cost performance. This raw pu-erh cake from Hekai Mountain, one of the six ancient tea trees in Yunnan, is made with a blend of 2015 Autumn and 2016 Spring leaves from trees of 300 to 500 years old; blending leaves from the different seasons together improves the taste of the resultant tea. From the shape of the cake, we can see that the material used is of good quality with a high abundance of buds, evident both on the outside and when pried open. When brewed in boiling water the tea gives a bright golden-yellow liquid, with a thick aroma that can pervade the entire room. 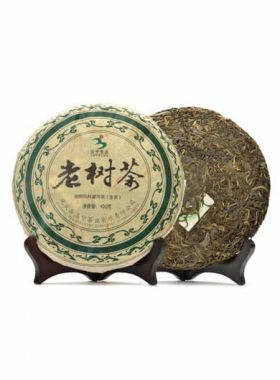 Some experienced tea drinkers call this the “spirit of the mountains and nature”, referring to the rich, mellow flavor reminiscent of flowers, honey, fruits, and grass. Due to the unique blending process, the sweet softness of this tea is more immediately apparent than in other recent pu-erh teas. It has a bitterness on the first taste that disappears right after, turning to a sweet, mouthwatering aftertaste which lingers long after you have finished drinking. This tea also has a massive potential for growing and evolving through long storage periods, marking it as a prime piece for collecting. 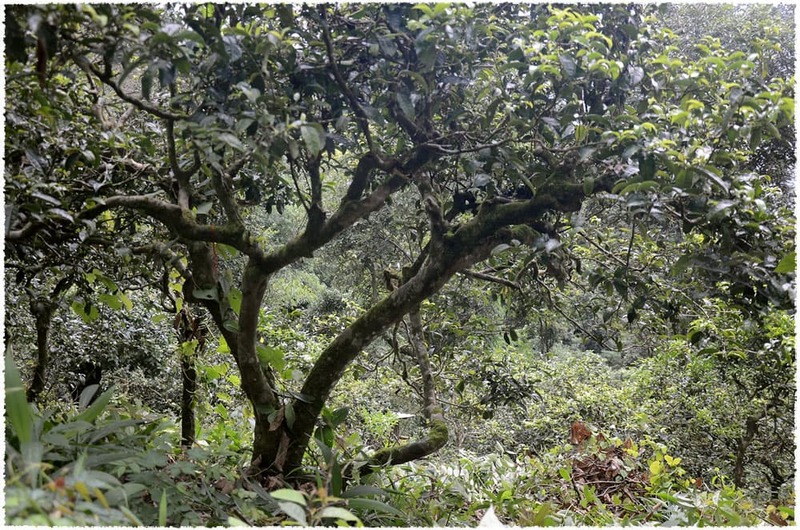 The trees here in Hekai Mountain are mainly ancient, distributed around three main villages: Manmai Old, Mannong Old, and Mannong New Village. The trees grow close to the villagers’ houses, forming a harmonious natural landscape between man and nature. At about 1400-1700m above sea level, Hekai Mountain’s average annual temperature is about 18.1℃ with foggy days throughout the year numbering about 129 on average, and with the relative humidity sitting generally close to 82%. The soil here is slightly acidic and very fertile. The first impression Mr. Gu gives is that he is vigorous and lively. We started speaking with him through a tea friend, looking at photos of the tea mountains and ancient trees, until the beginning of 2016 when we decided to visit these ancient trees in Hekai Mountain, on the journey to Hangzhou and Huangshan. During our meeting we drank many excellent ancient tea trees, and learned more about Mr. Gu and deepened our friendship. As a born-and-bred Hekai citizen, he has been engaged in crafting tea from the ancient trees since 2009; compared to farmers who have several decades of rich experience in the craft, though, he seems somewhat immature. However, this proved to be an advantage for him: thanks to his youth he can travel up the mountains each and every day to find the ancient trees, collect their leaves, and study with more experienced farmers. Young and unafraid of failure, Mr. Gu is reliably strict with himself when making teas and believes he must remake any with which he is not fully satisfied. It all starts in his love of pu-erh, and from there the quality of this Hekai ancient tree cake grows. As soon as you drink it, you will be able to feel Mr. Gu’s energy and sincerity. 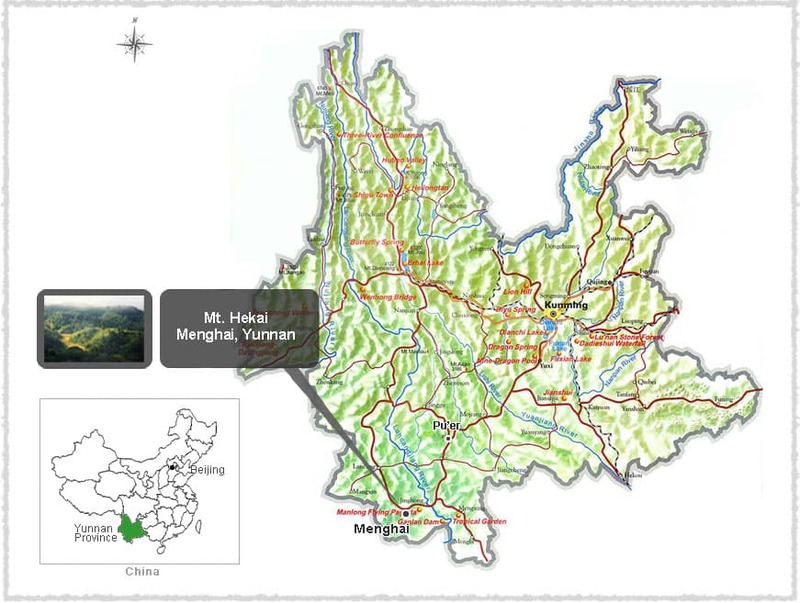 Menghai, the birthplace of pu-erh tea and Chinese tea as a whole, is located in the southwestern region of Yunnan Province. Large numbers of ancient tea trees have grown in the wild hear, including the 1700 year old tree called the Ancient Tree King. In addition, this area has held the title of Southern Yunnan Granary since ancient times for its abundant rice and cane sugar production; nowadays it serves as a solid state-level base for the production of grain and sugar. Native to Menghai County in Xishuangbanna, the Menghai large-leaf tea species was rated as the most improved national variety in 1984. It grows up to 7m tall in the wild with bold green leaves noticeably larger than more common varieties, and the buds of this species are yellowish-green and coated in fuzz. The leaves are high in phytochemicals, with one bud and two leaves containing 2.3% amino acids, 32.8% polyphenolic compounds, 4.1% caffeine, and 18.2% catechinic acid. 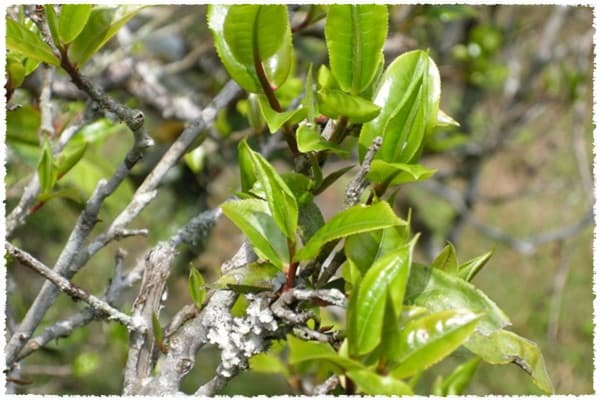 Because of this, pu-erh tea made from this species is high in quality, rich yet soft in taste, and maintains a full-bodied essence. Pu-erh is one of the oldest types of tea in China with a history stretching back over 1700 years to the Eastern Han Dynasty, when the tea was called Jing Cha. 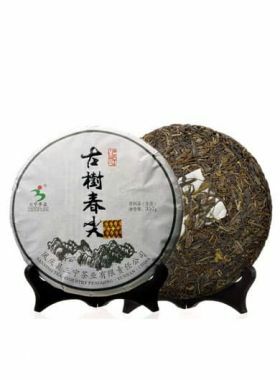 It is named after the town of Pu’er in Yunnan province, which was originally the early trading center for this tea. In early history pu-erh was used as a bartering currency in southwest China, with the famed Cha Ma Gu Dao, the Tea Horse Road, being built for the purpose of transporting this tea through the Himalayas to other countries and areas in Tibet.